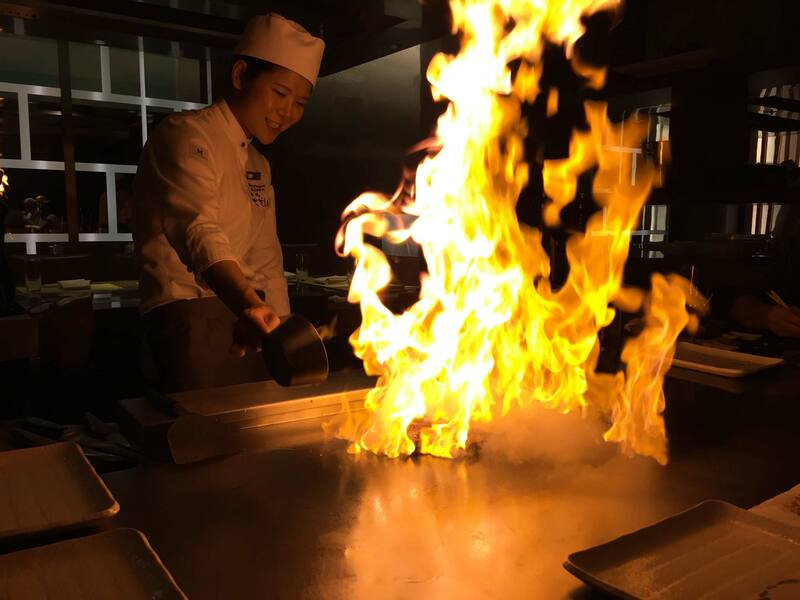 STILL DIGITAL TIMES was hatched over fire and ice at Amsterdam Okura Hotel’s superb Sazanka, the only Michelin-starred teppanyaki restaurant in Europe. It happened somewhere between the Moscato and the Malbec, punctuated by pyrotechnical sea bream and Wagyu beef. Up to now, FDTimes has mixed still and motion together, somewhat the way Chef Chisa was stirring up the stir fried rice on the grill in front of us. Was the juxtaposition of, for example, Milvus next to Master lenses justified? Certainly still photography has been an essential filmmaking ingredient for location scouting, production, promotion, casting, set design, grading, and personal use. Cinematographers are using still photography lenses on high speed, E-mount, mirrorless and DSLR cameras. An ever-increasing number of still photographers are shooting stills and video simultaneously, as we saw with the RED W8K in the ZEISS booth. ZEISS Milvus still lenses introduced at IBC have expanded focus scales enticing to cinematographers. We discussed hybrids, systems that excel in singular disciplines, and convergence or divergence. I saw the divergent and contrasting light as Chef Chisa’s workflow culminated in a blazing, brandy-fueled piscatorial display. With thanks to Mssrs. Scherle, Schiehlen and Heldner for the advice, we’re launching a new section in Film and Digital Times. It’s called STILL DIGITAL TIMES, and appears online (see below) and on paper in upcoming editions.